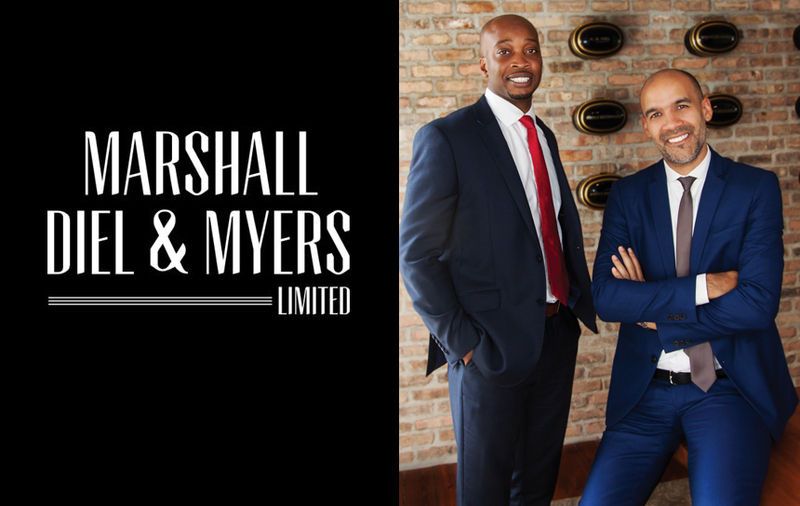 Law firm Marshall Diel & Myers was yesterday crowned Bermuda’s top employer. The Hamilton company topped the rankings in The Bottom Line Top Ten Employers Awards. 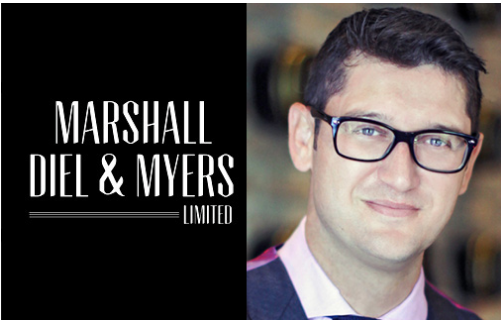 Adam Richards, appointed managing director of the firm this month, said: “We are very surprised and honoured to receive the award. 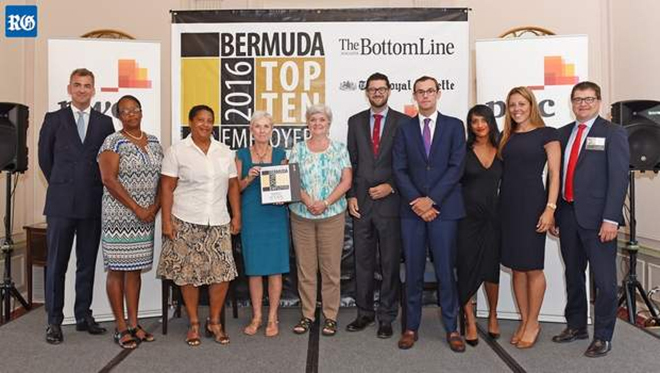 Mr Richards was speaking after business magazine The Bottom Line, a sister publication of The Royal Gazette, presented the best employers on the island with certificates at a special ceremony at the Hamilton Princess. In third spot was Stevedoring Services, which runs the Hamilton docks. Warren Jones, CEO of Polaris Holding Company, Stevedoring Services parent, said the company had been struggling and had labour relations problems only a few years ago. But he said: “We are really pleased when you consider where we came from and what people thought of the docks over the years. This shows the growth — we are proud of our staff and they do a good job every day. This is really for them and something they will be very proud of. Jonathan Kent, editor of The Bottom Line, said: “It’s always a pleasure for The Bottom Line to be able to give this island’s great employers some recognition. In treating their people as they do, these organisations promote prosperity and personal development in our community. 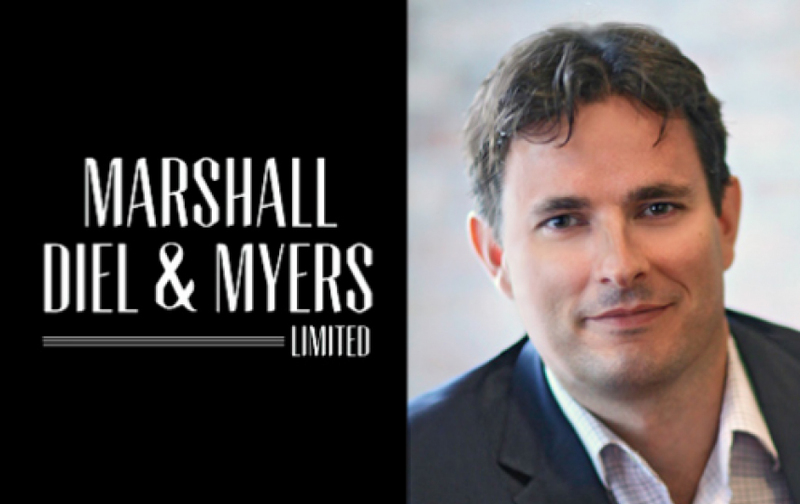 Derek Winch, chief financial officer of Bermuda Press (Holdings) Ltd, the parent company of The Royal Gazette, added: “It’s a significant achievement to be one of the Top Ten employers in Bermuda, but what I find amazing is the number of companies that continue to be in the Top Ten year after year. The awards are sponsored by professional services firm PwC and Global Research, who also analysed the results. Dr Leslie Steede, director of Global Research, said that creating a happy personal relationship was tough and businesses had similar problems. The Royal Bermuda Regiment came ninth in this year’s list after narrowly missing out on a Top Ten spot at its first attempt last year. The RBR was the only public sector body represented in this year’s Top Ten and the first uniformed organisation to figure on the list. RBR second-in-command Major Warren Furbert, who accepted the award on behalf of Commanding Officer Lieutenant-Colonel David Curley, who is off the island, said: “We are a unique employer in that we are not the traditional employer with a lot of full-time staff. Our human resources are our biggest asset because we are manpower heavy and we have to put boots on the ground to deliver our goals. We are Bermuda’s insurance policy for natural or man-made disasters — anything that affects Bermuda’s peace and stability. Tokio Millenium Re, part of the Japanese giant Tokio Marine, celebrated their tenth spot with miniature versions of traditional Japanese Taiko drums — copies of the large 90-pound version in the company’s offices which is used for major events.